Acer have joined the noise surrounding IFA in Berlin this week, by taking the opportunity to announce their 6-inch smartphone. Its actually more of a phablet device, sitting on the very top end of the smartphone size band and encroaching in to the mini-tablet space. 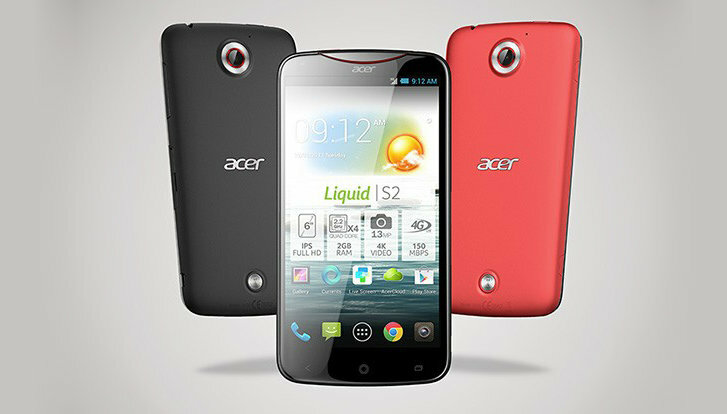 The Acer Liquid S2 will sport a full High Definition IPS display, which will pack 1920 x 1080 into its 6 inch display. Its naturally going to be a chunky offering, with the unit skirting the edge of being easily fit into the average pocket. Maybe more significant will be its 2.2 GHz quad-core Qualcomm snapdragon 800 processor. Its an incredibly convoluted named processor but it packs a mighty punch, meaning this Acer smartphone will be one of the first to be able to record in 4K resolution. To aid this, the smartphone will include a 13 MP camera, making it an early front runner to be popular amongst social video site users alongside some of the other camera-smartphones that are hitting the market this autumn. All of this pitches the Liquid S2 head to head against the Samsung Galaxy Note 3, which is likely to launch almost – or perhaps even literally on top of – the Acer offering in whats set to be a hectic autumn of smartphone releases. 2013 is so over-crowded with tech releases, that a mere 10 day USP advantage can be enough to give a new phone lift off, and all of the manufacturers are currently lining up their launch dates with similar precision to a F1 team lining up pit-stops. Acer have plumped for October with this model, but don’t bet against Samsung beating them to market with the Note 3. The 4K video is not going to be the Liquids only selling point though. It’ll also feature a solid 2MP front-facing camera, alongside 16GB of storage and a 2GB RAM. All of this is powered by the Android Jelly Bean OS. This OS allows for Wi-Fi, Bluetooth 4.0 and NFC connectivity, so you’ll be able to use the Acer as a contactless payment mechanism in supported outlets. We’ll bring more details to you as they emerge at the IFA 2013 conference in Berlin this month. Next articlePowertec wb-ls leverage workbench gym review: The ultimate home gym?